The best way to get started is by talking to the pilots you know. Your success in aviation will largely result from who you know, not what you know. 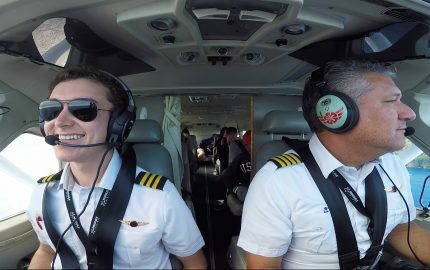 There are thousands of professional pilots out there that you’ll compete with, so having a personal connection with someone or working hard to provide something of unique value is my biggest tip for success. Because of this fact, you should start networking with as many pilots as you can right away. It doesn’t matter if they’re online connections or people you know personally, advice is advice, and you should treat it like gold. Ask your family and friends if they know any pilots. Don’t be shy – Get to know them! Odds are, you’ll find someone that’s willing to show you the ropes and mentor you along as you get started. If you’re like me, you might come from a family with no aviation background. I was the first pilot in my family. There’s nothing wrong with that! We can’t all grow up flying behind the controls – I totally envy those who did! Having a friend mentor you as you get started is all you need. Maybe it’s your CFI, or just another pilot you met at the airport. Don’t underestimate the value of connections… Ever. There are some basic age requirements to become a pilot in the United States. While you can begin training essentially at any age, to become an airplane pilot you must be 16 years old to fly solo or 17 years old to get your private pilot’s certificate. If you’re interested in flying gliders, you can fly solo as young as 14 or get your private pilot glider rating at 16 years old. As you get started, you need to decide what your goals are. 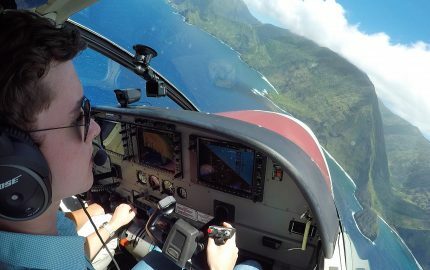 Do you want to become a professional pilot or is flying something you want to do for fun? Deciding this will have a huge influence on what sort of school and training I’d recommend. Click here to learn why I chose the University of North Dakota. If you’ve made it this far, you’re probably itching to get some stick time in an airplane. My suggestion? 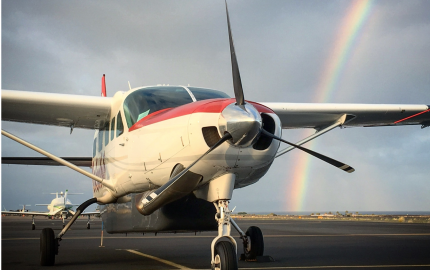 Look up local flight schools and set up a discovery flight with a local flight instructor. You’ll get to fly the airplane on your very first lesson! Your CFI will help lead you through the process of initiating flight training if you’re interested in starting at that school. Before you start serious training, make sure to get an aviation flight physical exam to see if you’re eligible for a pilot’s certificate. There are quite a few medical issues that might prevent you from getting your certificate, at least initially. It’s MUCH better to spot these issues early on before you spend money. But don’t worry – There are many exceptions and waivers that the FAA can issue if you do have a problem; starting that process early is equally important. Meet with a local Aviation Medical Examiner (AME) to get your first flight physical. If your goal is to become a professional pilot, I’d recommend getting a 2nd Class Medical Certificate. It cost less than the 1st Class Certificate, but examines nearly all the same areas. Otherwise, a 3rd Class Medical will be fine (you only need a 3rd Class Certificate to be fly solo). Here is a list of AMEs that you can contact. Ok, so you’re ready to choose a flight school. Which do you pick? The simple answer is this – There is no right answer! I know, probably not the news you were hoping for. Follow these 13 Steps For Choosing Your Flight School. In the USA, there are two major types of flight training, Part 61 and Part 141 schools. In general, Part 61 schools are smaller and offer more flexibility in the timing or order of your training. That said, I’ve experienced some pretty unorganized Part 61 schools. If you can’t dedicate yourself to full-time training, or if your goal is to fly just for fun, Part 61 is a more common option that people like you will choose. On the other hand, Part 141 can be faster, but is much more structured. Because Part 141 schools operate off of an FAA-approved syllabus, you’ll have little say in choosing the order of your training. Cost varies based on individual school, so there’s no real way to clearly differentiate the two. I never took a military route, so if that’s your goal, I can’t be of too much help there. Consider talking to a pilot you know in that branch of service, or start talking to military recruiters. My experience is limited to training Part 61 for my private pilot certificate in Richmond, VA (HOVA Flight Services) and continuing onto the University of North Dakota for more advanced training and my degree. Simply put, there is no perfect path towards becoming a professional pilot. If your goal is to become a professional pilot, consider the value of having a 4 year college degree. Many major airlines around the country will require you to have a 4 year degree. While you can be a regional airline captain without a degree, if your goal is to move up, you might want to consider adding this to your resumé. For the most part, it doesn’t matter what the degree is in. 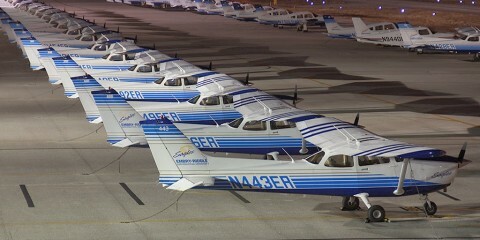 Many people choose to combine collegiate flight training with their degree. At UND, I’m a Commercial Aviation Major. It’s a Bachelor of Science in Aeronautical Science. 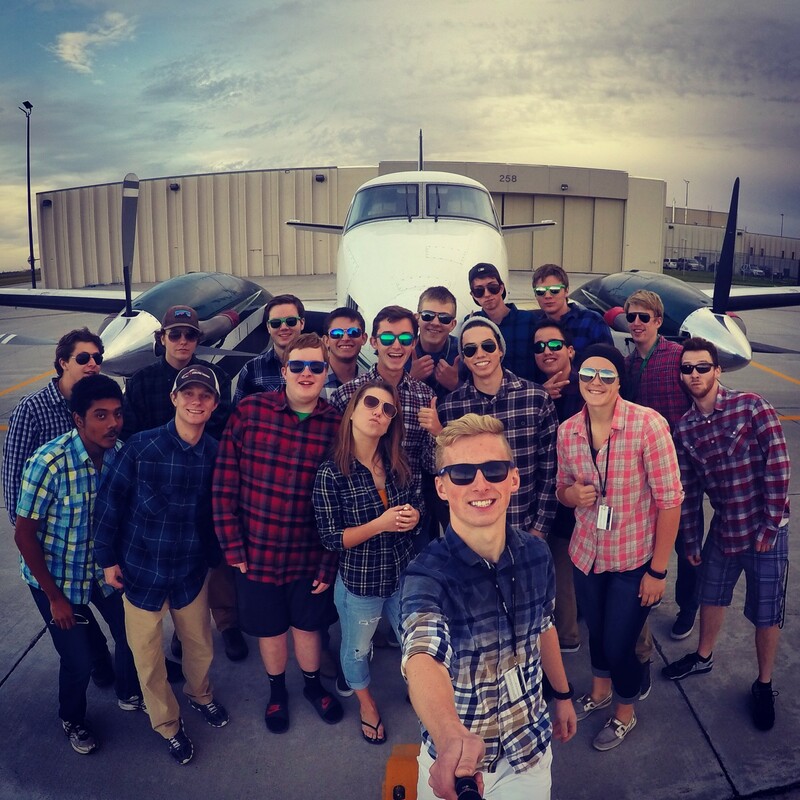 Another awesome option at UND is the Aviation Management degree – It combines professional flight training (commercial pilot, multi-engine, instrument rated) with an aviation business degree. 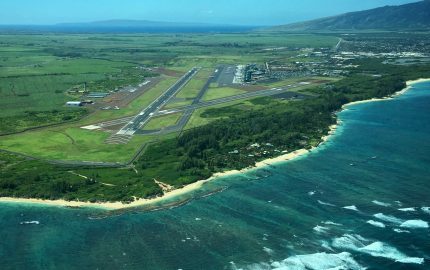 There are many similar programs around the country, and they’re great if you want to provide yourself with a viable backup plan in case flying doesn’t work out. Click here for one great example of how you can become an airline pilot. There are faster options out there if your goal is to get your ratings as quickly as possible. Programs like “ATP Flight School” can get you through pretty quickly if you already have a degree or don’t plan to attend college. It’s no secret that flight training is extremely expensive. There are a few things you can do to help. As you get started, apply for as many scholarships as you can. 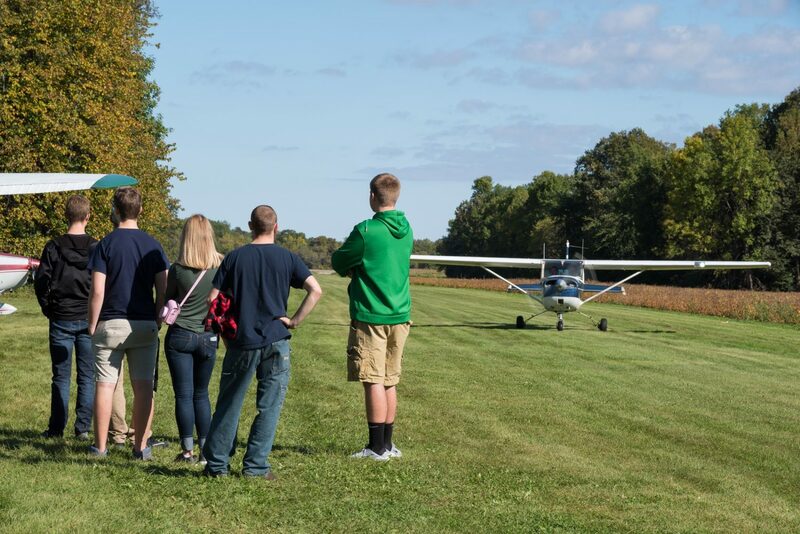 Look to organizations like AOPA, EAA, or Women in Aviation to get an idea for how aviation scholarships work. Don’t forget to ask around at the airport to see if there are any local scholarships available. Avoid beginning training before you have the funds to complete a full training course. The last thing you want is to begin training and have to stop halfway through because you don’t have the funding to finish things up. That will cost you more in the long run, because you’ll have to spend more money re-entering the training environment to knock the rust off as you get started again. Many flight schools, especially those within university programs, offer the option for you to pay for training through student loans. While you don’t have to pay most of these off during your time as a student, you will spend the first few years of your career paying back much of these funds. I have plenty of friends in this position who make it work, and I myself have taken out loans to afford portions of school and training. Another way to pay for training is simply by saving up from a job. One of the coolest ways to do this in my opinion is by getting a job at your local airport or flight school. You might be able to trade fueling aircraft and washing planes for flight time, and you never know who you might run into in the airport. Private Pilot Certificate: Fly piston aircraft under 12,500 lbs for fun, nearly anywhere in the country. You won’t be allowed to fly for compensation or hire. This is what you’ll start with 99% of the time. Commercial Pilot Certificate: You can now fly for compensation or hire, but there are plenty of restrictions. Unless you’re hired and flying for a registered air carrier, you can’t just fly people from point to point for compensation. You’ll learn all about the regulations as you train for this certificate. This certificate will allow you to become a professional pilot for the first time! That’s pretty exciting stuff. 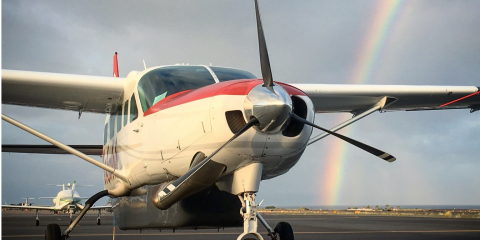 Instrument Rating: Ready to fly in the clouds? You’ll need to get your instrument rating first. You’ll learn how to fly solely based on reference to instrumentation with no visibility outside. Multi-Engine Rating: This rating allows you to fly, you guessed it, airplanes with more than one engine! Certified Flight Instructor Certificate: You can begin providing flight instruction for students. This is the most common way to begin your professional aviation career. It’s a great way to build flight hours towards your first job at a regional airline. Airline Transport Pilot’s Certificate: In the USA, to fly for a Part 121 Airline, you’ll need your ATP. Depending on where you trained, you’ll need to meet these minimum time requirements. That’s not all though… Aviation is so cool because there’s really no end to your training. You can get a seaplane rating, balloon rating, glider rating, etc. It’s one of the reasons I love aviation so much, because you can always challenge yourself to try something totally new. A few final thoughts… Learning to fly is a LONG journey, so don’t forget to enjoy it along the way. Keep your options open and try not to hyper-focus yourself on the end goal or “jet job.” It’s going to take a long time to get there, so enjoy it as much as you can. Learning to fly is a lot of work and it isn’t all fun, but the payoff is huge. Don’t forget to pass along your love for flying. Help someone else out as they get started. 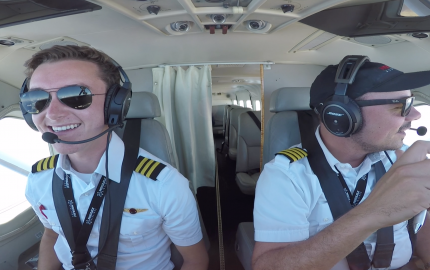 As the pilot population shrinks, it’s more important than ever to inspire the next generation of pilots to start flying too. If you have any questions as you start, don’t hesitate to shoot me an email through the “contact” tab above. Good luck and have fun!